Director Sudheer Varma, scored a good hit with his first film Swamy Ra Ra. 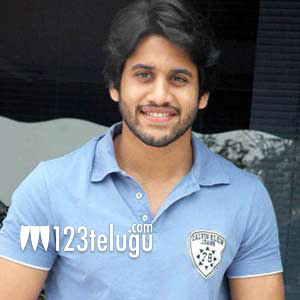 His latest film with Naga Chaitanya is currently on the floors and is fast completing its shoot. From the past few days, there were few reports making the rounds regarding the film’s title. Several names popped up but the director himself denied all those titles. Now according to the latest update, yet another title ‘Hari Lo Ranga Hari’ is making the rounds. Though an official confirmation is yet to be received from the makers, this title looks quite apt for this flick. Naga Chaitanya is paired opposite Kriti Sanon in this project and Sunny.M.R who had scored good marks for his work in Swamy Ra Ra is composing the music.